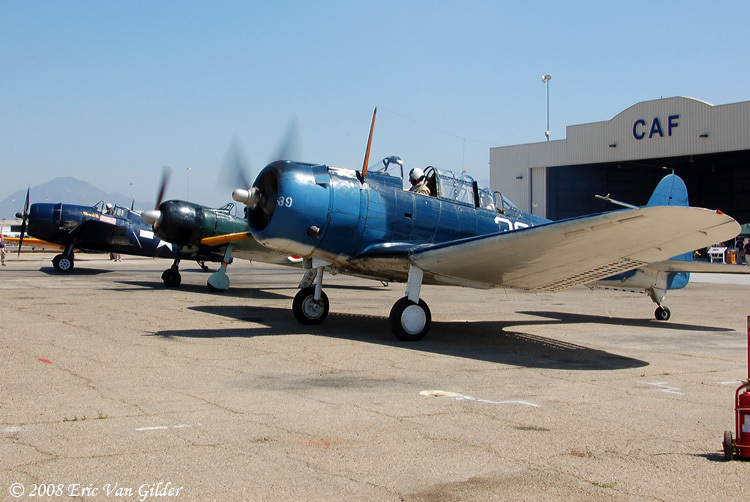 The Commemorative Air Force, Southern California Wing hosted a special event on September 6, 2008 commemorating the Battle of Midway. This pivotal WWII battle in the Pacific Theater was the beginning of the end for the Japanese Navy as a formidale force in the Pacific. 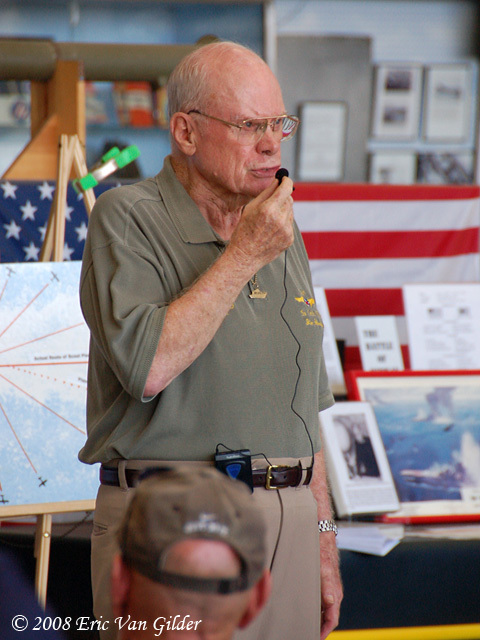 Jim Hinckley, himself a WWII veteran, gave a presentation about the battle. 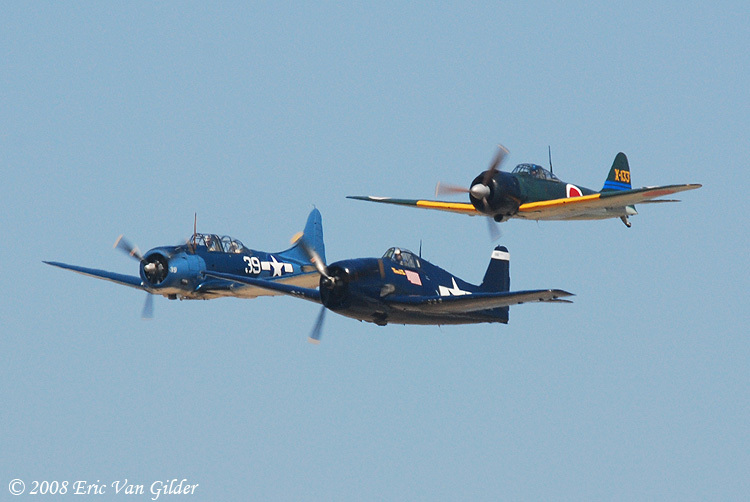 The CAF SoCal Wing flew their A6M3 Zero and F6f Hellcat in formation with the SBD Dauntless that was brought up from the Planes of Fame Museum and flown by Ron Hackworth. 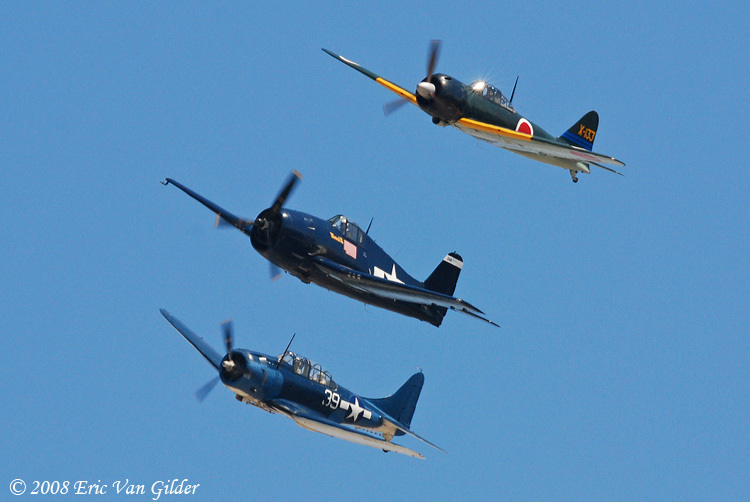 Steve Barber flew the Zero and Gary Barber flew the Hellcat. 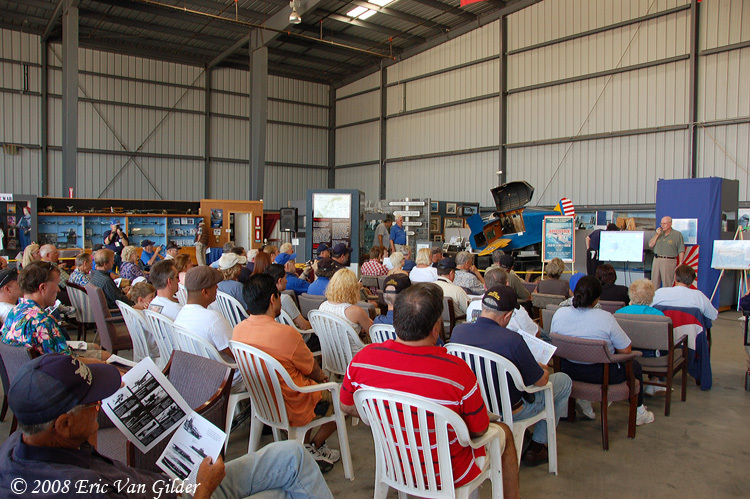 Below are some of the photos taken at the event. 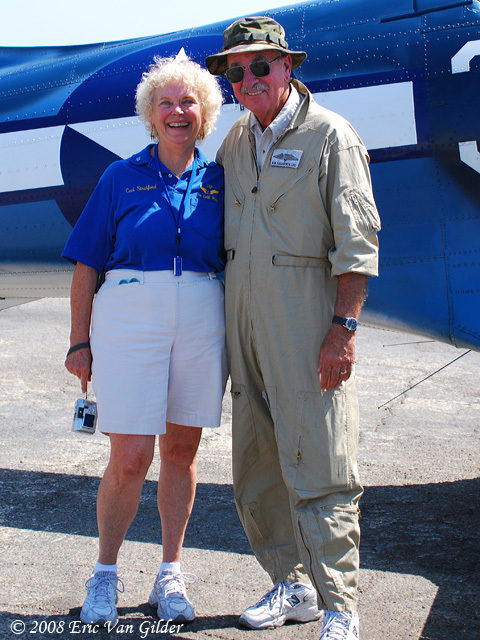 Ceci, one of the tireless coordinators for the event with Ron Hackworth, pilot of the SBD Dauntless. The CAF SoCal Wing's newsletter editor and webmaster, Dave. 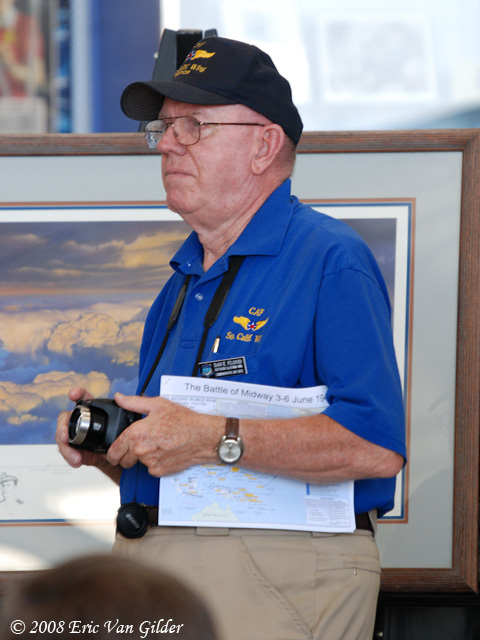 Jim Hinckley describes the Battle of Midway to the visitors. A nice crowd was present for the event. 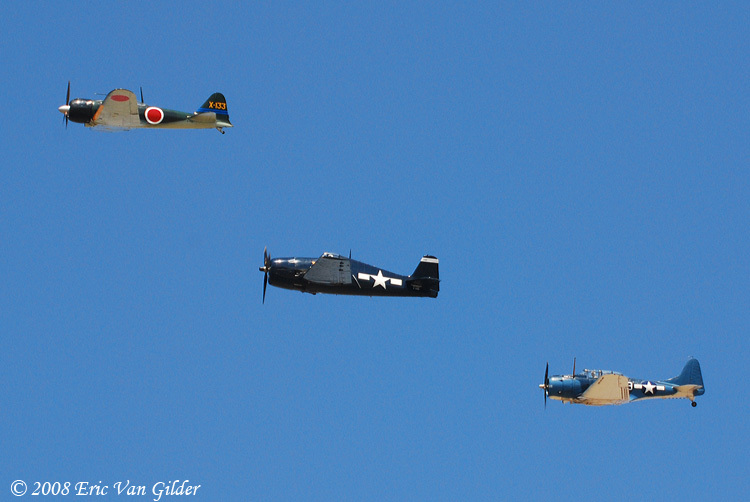 The F6F Hellcat, A6M3 Zero and SBD Dauntless just after engine start. 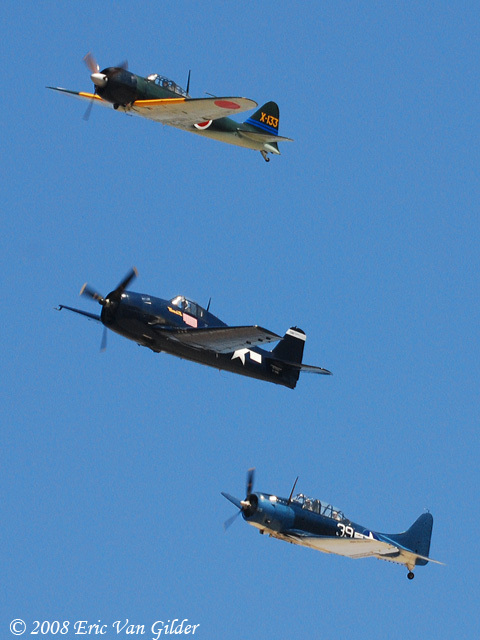 This is a rare formation!